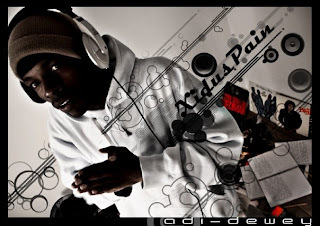 Xidus Pain is a Peterborough artist who has been rapping for over 10years. He has worked with various artist across the globe and he has supported the likes of Dj Swerve, Out Da Ville, Grandmaster Melle Mel and The Suga Hill Gang to name a few. Having performed across the U.K: Nottingham, London, Cambridge, Surrey, Brighton, Birmingham and Wales, Xidus Pain is honing his talent and gaining new fans with every show. His first release Taste Of Pain gained him the title of Peterborough's finest by Disorda (Suspect Packages) and Cee Banger (Certified Banger). Now with two more projects released completely for free: Maxx Pain & Know Pain, Know Gain, Xidus Pain is getting ready to set the UK and the rest of the world on fire.